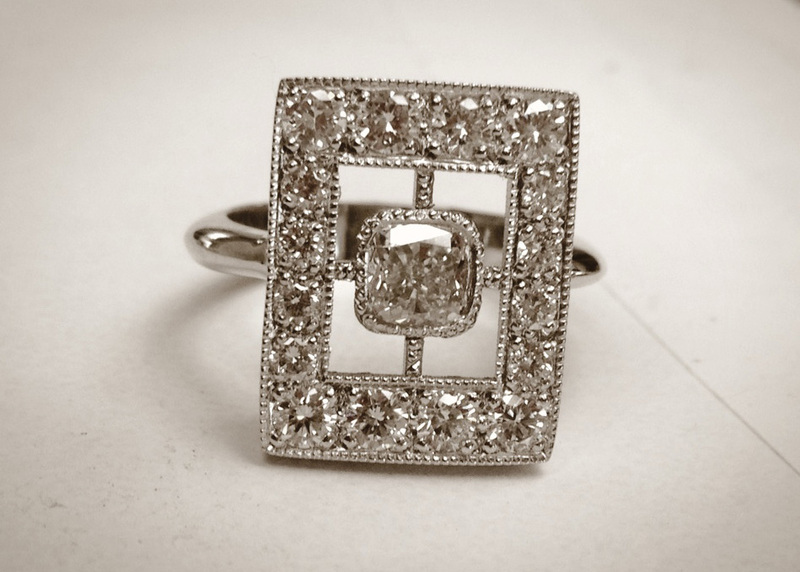 This ring was made for a friend for his wife, and is based on an Edwardian ring design circa 1920’s. It features a cushion cut centre stone with graduated stones in a halo-style design. The mill grain finish is handmade.